Source Book for Clash of Empires. 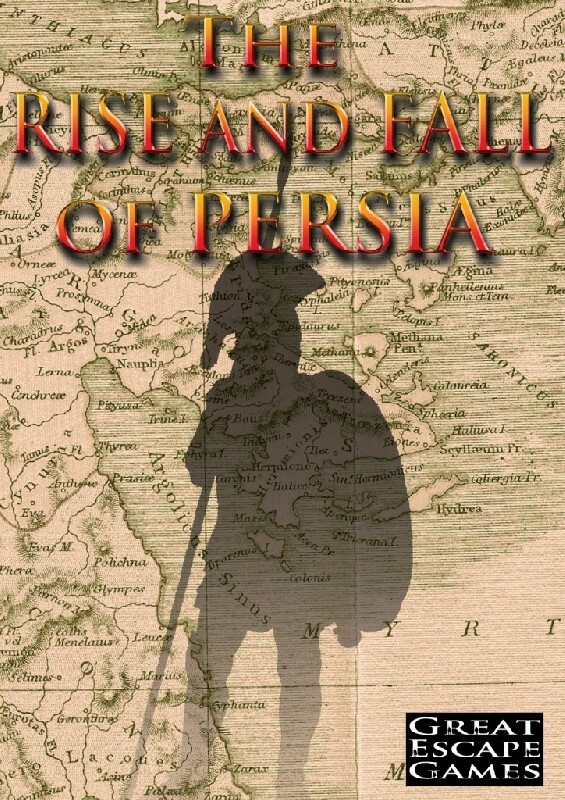 The Rise and Fall of Persia: Cyrus to the Death of Alexander, is the first source book for Clash of Empires™. This book provides gamers with all the information that they need to fight battles from Classical Antiquity, from the rise of the Persian Empire under Cyrus the Great, through the destructive Peloponnesian Wars where Greek fought Greeks and finally the demise of the Persians at the hands of Alexander the Great. The book is split into three parts each focussing on a specific time period and series of confl icts and combatants, covering 28 army lists plus variants. This details the fall of Babylon and the Lydians and the rise of the Persian Empire under Cyrus the Great and features a historical overview of the period and 10 army lists plus variants including: Lydian Empire, Neo-Babylonian Empire, Archaic Greek, Early Achaemenid Persia, Saitic Egyptian, Cyrenaian Greek, Libyan, Early Macedonian, Skythian and Thracian. The second part charts the Greek and Persian Wars throughout the Mediterranean. Army lists featured in the section include: Achaemenid Persian Empire, Early Hoplite Greek, Early Spartan, Early Carthaginian, Later Hoplite Greek (including Athenian, Argive, Theban and Phokian), Later Spartan, Syracusan/Siciliot, Elymian/Sikel/Sicanian, Thessalian and Illyrian. The final part of the book charts the rise of Macedon and Alexander the Great and his destruction of the Persian Empire and expansion of the Macedonian Empire. It features the following army lists: Rise of Macedon, Later Achaemenid Persian, Alexandrian Macedonian and Ancient Indian.